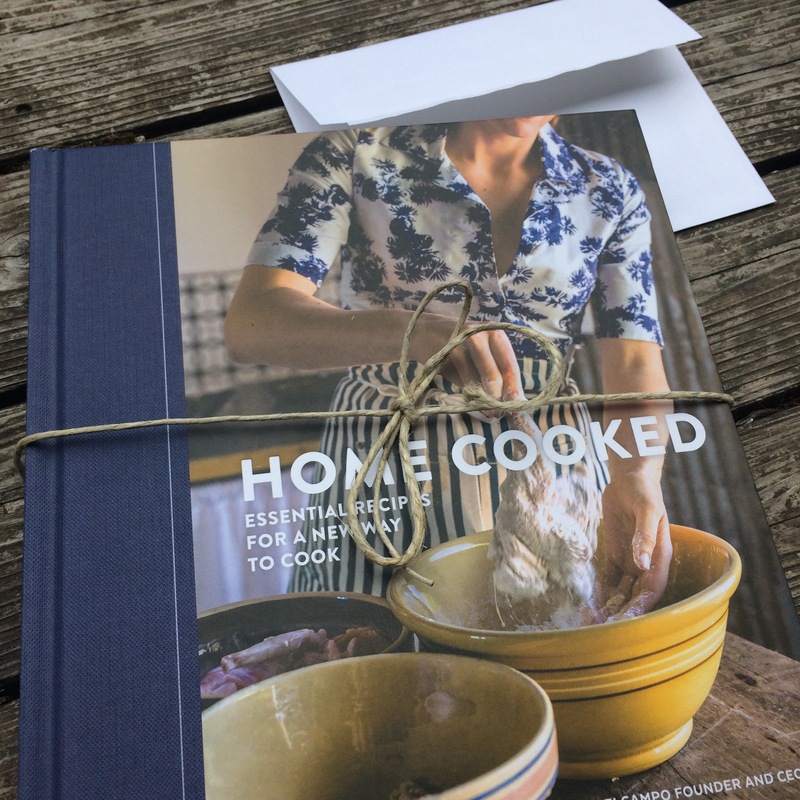 Thanks to Blogging for Books I was able to GIVEAWAY a copy of Home Cooked an incredible cookbook I recently reviewed to one of my Inspiration Clothesline readers. Mallory recently had her fourth and final babe. A little boy. And boy did he arrive in a beautiful entrance at our local Salmonberry Birth Center. I have been so blessed by Mallory and she is a fellow foodie. Not only does she have a true knack for food and in the kitchen but also a true giftin hosting. I cannot wait to try some of her cooking from the incredible “Home Cooked” book by Anya Fernald with Jessica Battilana. My hope is to share her thoughts on the cookbook at a later date… and maybe even a few photos from her beautiful kitchen! We will need to give her time to adjust to that new babe before getting back into the kitchen and into this beautiful couple! But stay tuned. Getting to deliver such a beautiful book to this new-again Mom was so special. It will be treasured and used in their home – I know it. This cookbook is truly a beautiful gift for the foodie in your life. Rich in story and in recipes – with a foundation in Italian cooking. Fernald is a true story teller and does a beautiful job of weaving her story into each recipe. Not to mention the worlds most beautiful photos and printing. I hope you will consider it for a cook in your life! Congratulations to reader Mallory on both the giveaway and the beautiful baby boy!